I had the privilege of meeting Robert when he was a photographer for Nat Geo when Honor Flight flew our nation’s oldest living veteran at the time, Emma Didlake of Detroit, to Washington, D.C. His photographs tell inspirational stories. Robert says that one of his favorite stories is also very personal. And he almost didn’t get to know it. Robert’s dad was in World War II, and came ashore just a few days after D-Day. He was captured and spent time as a POW in the hands of the Germans. But he never shared his experience, like so many veterans. After his dad passed, Robert found a journal from his dad. From this journal, he was able to share his dad’s story in his first published book, Hidden Hell. If it weren’t for the journal, he wouldn’t have known his dad’s story. Remember to leave your rating and review if you enjoyed the show, and share this podcast with your friends, family and network. 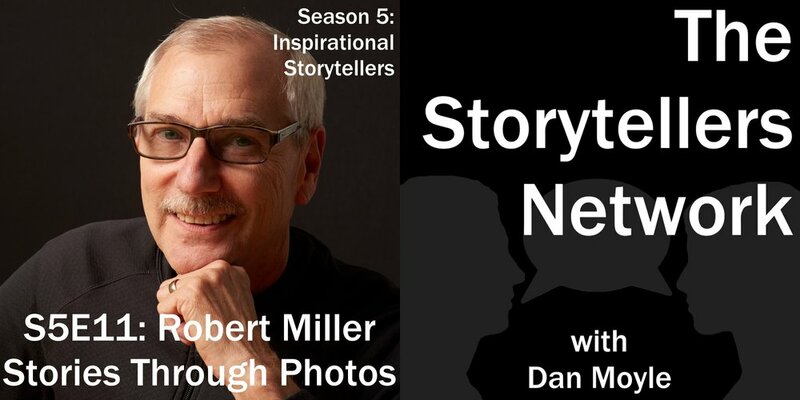 The Storytellers Network with Dan Moyle airs every Monday at 7 AM EST.